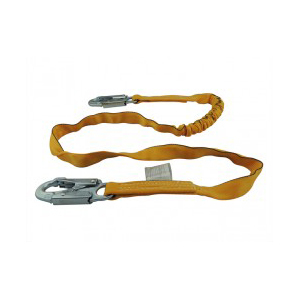 Ergonomic Harness with sliding dorsal D-Ring. 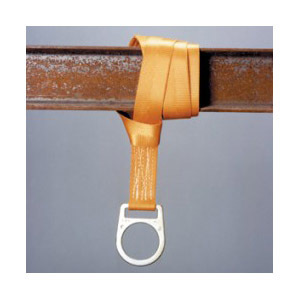 Features breathable contoured back pad and 2 side D rings and flat bar buckles that are easy to use and fail safe. Constructed using polyester straps. The waist, chest and leg adjusters offer excellent fit and user comfort. 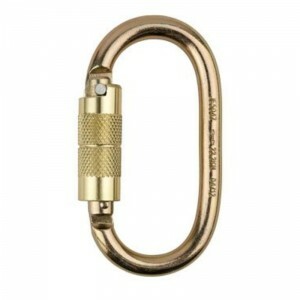 Self locking D style carabiner with quarter turn lock lenth, with 123mm Opening, and 27mm. 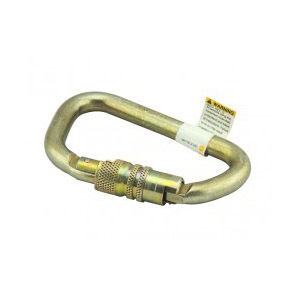 the breaking Load is 35kn or (7,868Lbs), built of alloy heat treated yellow/zinc steel.